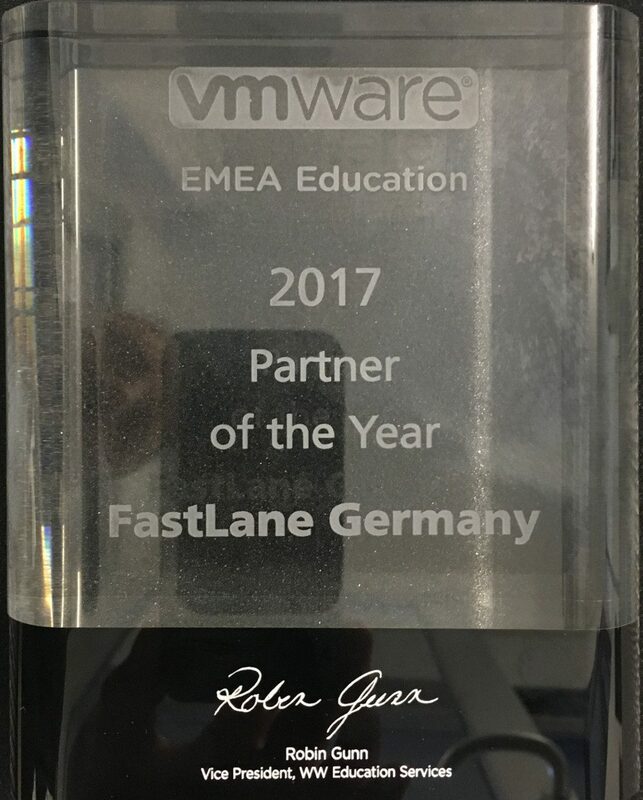 Hamburg / Berlin, September 14th 2017 - Fast Lane is the VMware EMEA Education Partner of the Year 2017. VMware presented the 2017 awards at VMworld in Barcelona, VMware’s premier thought leadership and education destination for cloud infrastructure and digital workspace technology professionals. “VMware is one of our strategic partners, and we are very pleased to be recognized as their EMEA Education Partner of the Year,” commented Torsten Poels, CEO & Chairman of the Board of the Fast Lane Group. “Winning this award demonstrates our strong business results and excellence in delivering high-quality VMware trainings to our customers."